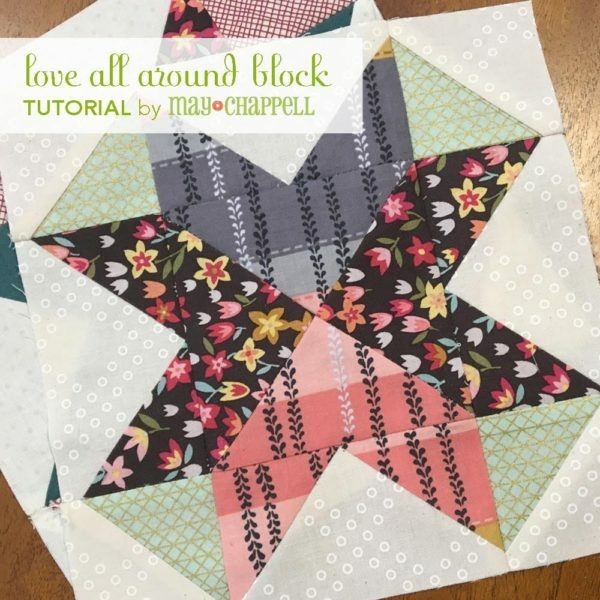 Today I am joining a good friend– Lee of May Chappell and the Love all around Quilt Block tour. She is a delight and believe me when I say that her booth at market is always awesome. She has an eye of design and it shows in her quilt patterns as well. Lately I’ve been feeling like there’s a lot of negativity going around, from the election to world affairs to right here in our own quilting community. I decided to create a block called Love All Around. It’s all about coming from a place of love and kindness. 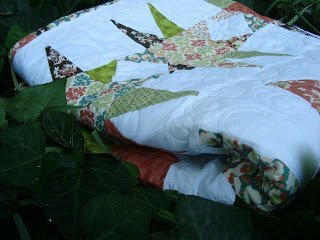 Quilting brings me joy and I love sharing that with all of you! Let’s all try to take a second to send a note of support, offer a word of kindness, cheer for the underdog or offer a helping hand. If you don’t have anything nice to say, don’t say anything at all. Or maybe keep thinking and find something nice to say! 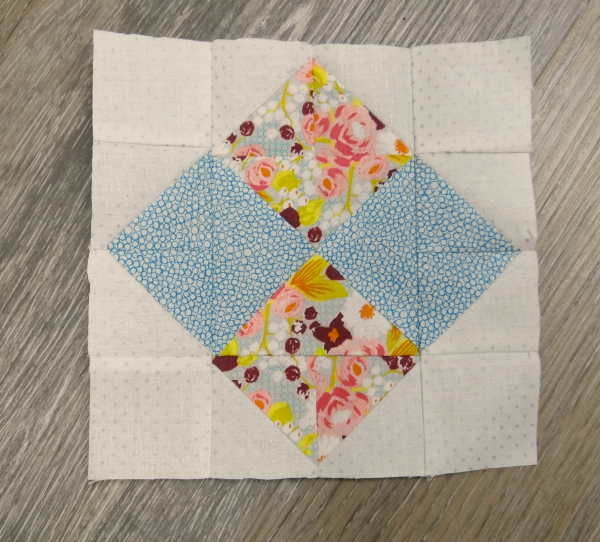 This year, I’m going to make this block whenever I see kindness in my community! I want 2017 to be a year with Love All Around! I’m expecting to end the year with a sea of hearts..and an epic quilt. I hope y’all will join in the love! What an awesome way to celebrate kindness and Love— you agree? 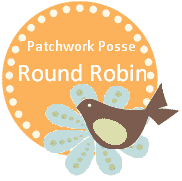 Lee shared with us the tutorial– it’s on her blog if you are interested in making one! And— if you do make one and are interested in sharing, use the hashtag: #loveallaroundblock Plus, you can search for this as well! 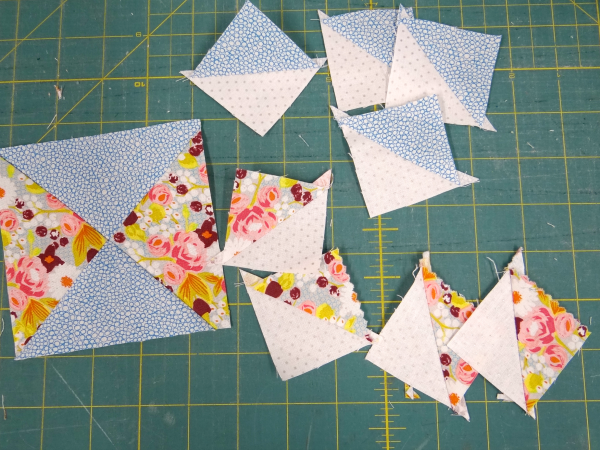 It’s very easy to sew up and there are a few little extras that you’ll get- quilt block leftovers. 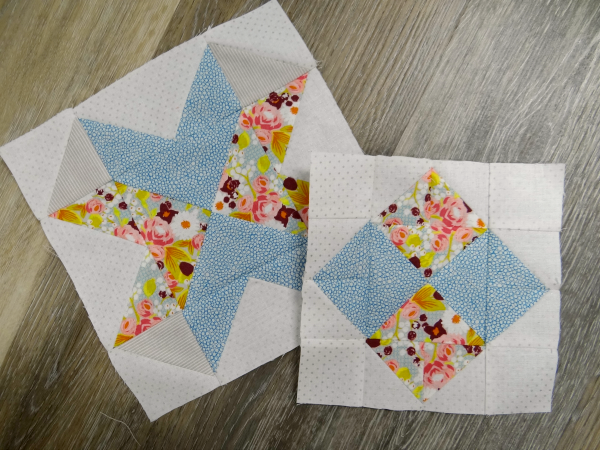 To get these– make sure you sew that extra hourglass block for the center + the second stitching line on the flying geese blocks you are sewing. 2- Lay them out and sew the rows together – you can play with the placement. Below is how mine turned out. I lined up the colors to make a 4 patch on point…but really any kind of arrangement would be fun! 3- Iron well and you are finished! 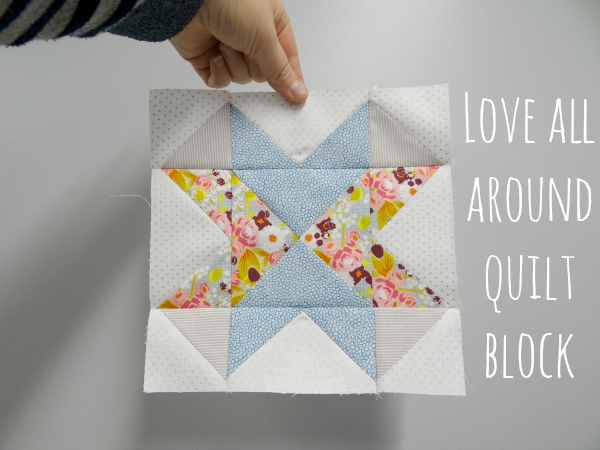 Now that the block is done….you might be thinking, great it’s another orphan quilt block. What do you think? Are you going to sew along with her? 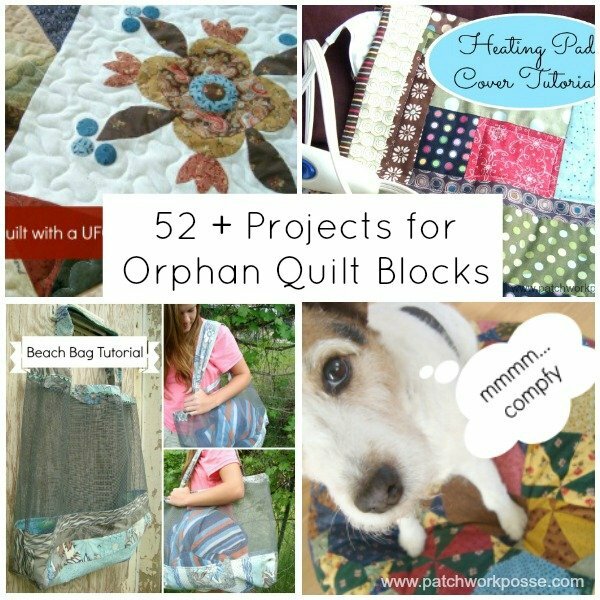 One quilt block per act of kindness / love?